She was only 6 when her mother bled to death after giving birth. The baby—her newest sibling—also died. The village midwife, a traditional birth attendant, could not save them. “We were sad for a very long time,” says Naw Eh Paw Htoo, recalling her widower father’s and five siblings’ tearfulness. Her eyes still well up at the memory. The situation had turned dire and there was little help by the time they thought to send her mother to the hospital. Her family lived in a rural village more than a 3-hour drive from the township hospital in southeastern Myanmar. Road travel was potentially dangerous. Naw Eh Paw could have remained scared—and scarred—for life. Instead, after helping raise her sister, she set into motion a plan to become a trained midwife. After 9th grade, she went to live with relatives in Myawady, a border town on the Thaungyin River opposite of Mae Sot, Thailand, so she could further her education. Naw Eh Paw’s goal was to become confident and competent enough to help women and babies survive childbirth, saving those who were hemorrhaging and those who weren’t breathing. With determination, she traveled time and again to Mae Tao Clinic in Mae Sot, Thailand, to study the basics of maternal and newborn health care. Naw Eh Paw Htoo strengthened her skills in maternal and newborn care through USAID’s flagship Maternal and Child Survival Program. When Naw Eh Paw had the opportunity to advance her skills, she studied emergency obstetric care during an 11-month course and gained a deeper knowledge of how best to care for women and children. She became an Ethnic Health Organization provider of emergency obstetric and newborn care, similar to a midwife in the Ministry of Health and Sports system. Ultimately, she attended 10 deliveries—eight at the clinic and two in clients’ homes—all successful. 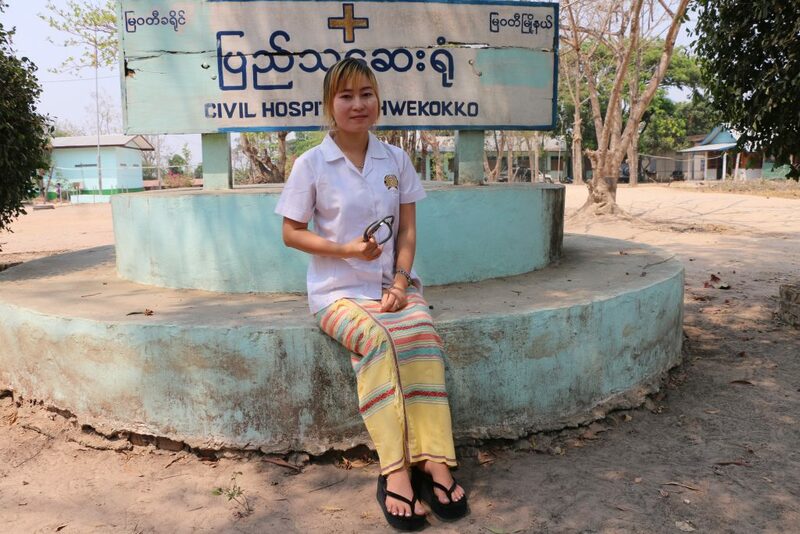 Naw Eh Paw Htoo’s training and practice have allowed her to share her skills with other midwives. In late 2017, the Karen Department of Health and Welfare, supported by the United States Agency for International Development’s flagship Maternal and Child Survival Program (MCSP), facilitated a number of training of trainers courses. 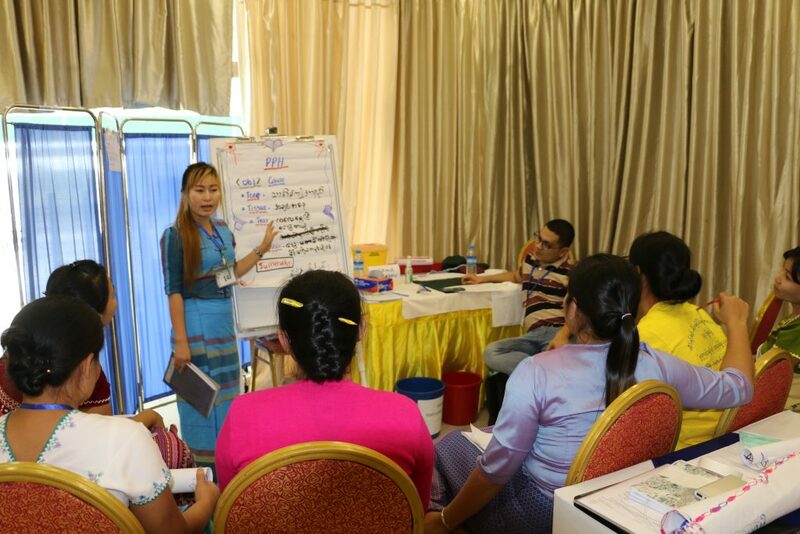 Naw Eh Paw, along with other maternal and newborn health care providers from the Ethnic Health Organization, enrolled in basic emergency and obstetric and newborn care trainings, led by Myanmar’s Ministry of Health and Sports. “The course enabled us to employ locally available and practicable means, an essential factor for us,” she says. “We were trained in a student-oriented approach, with lots of practical sessions. We practiced, and we gained confidence.” And more recently, Naw Eh Paw attended a clinical training skills workshop, during which she learned coaching and facilitation skills as well as public speaking. These days, she’s intent not only in becoming as proficient as possible in the skills she’s gained, but also in helping others to do so. Naw Eh Paw is among 102 Ethnic Health Organization providers—the first ever—benefiting from a concerted effort by the organization, the health ministry and MCSP to ensure a standard of technical expertise across health care providers. 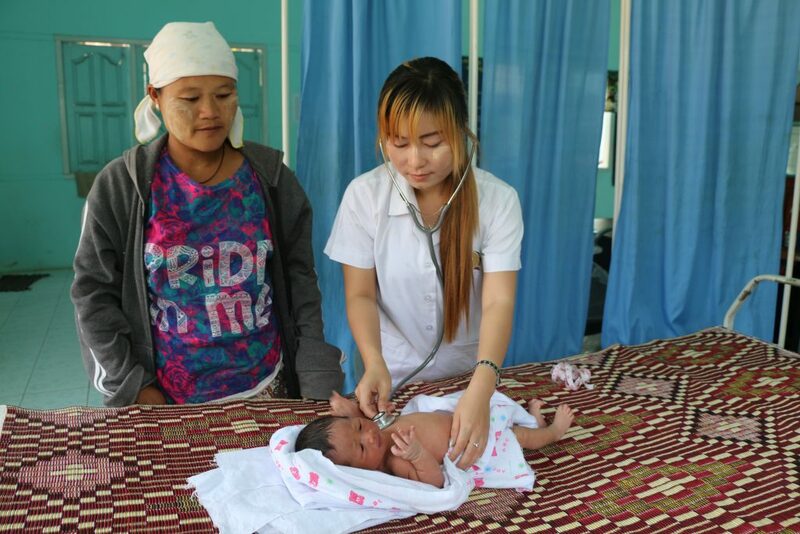 In addition to this collaboration with the Ethnic Health Organization, Myanmar’s Ministry of Health and Sports is committed to increasing the number of government midwives and nurses who can deliver high-quality services to women and families. With 12,300 skilled midwives and lady health visitors and about 210 ob/gyns serving a population of 51.5 million, the Ministry of Health and Sports is simultaneously working to build capacity of the in-service workforce. To this end, the government has opened new clinical skills centers across the country to enhance the technical expertise of working midwives, and professional organizations have strengthened their advocacy. In addition, midwifery and nursing schools have enriched their instructional methods and adopted a hands-on learning approach. As part of these efforts, the health ministry will certify and recognize the Ethnic Health Organization providers who work in the maternal, newborn and child health area—a crucial step toward ensuring equitable, quality care. Providers, such as Naw Eh Paw, who have attended these trainings now serve as key technical resources for sharing their skills and knowledge with their peers. Naw Eh Paw’s training and practice also have allowed her to share what she has learned with colleagues at the clinic, as well as with community-based volunteers and trained birth attendants. As one whose heart broke and path was set when she lost her mother early in life, Naw Eh Paw is doing her best to build the ranks of health care providers with qualified midwives like herself.